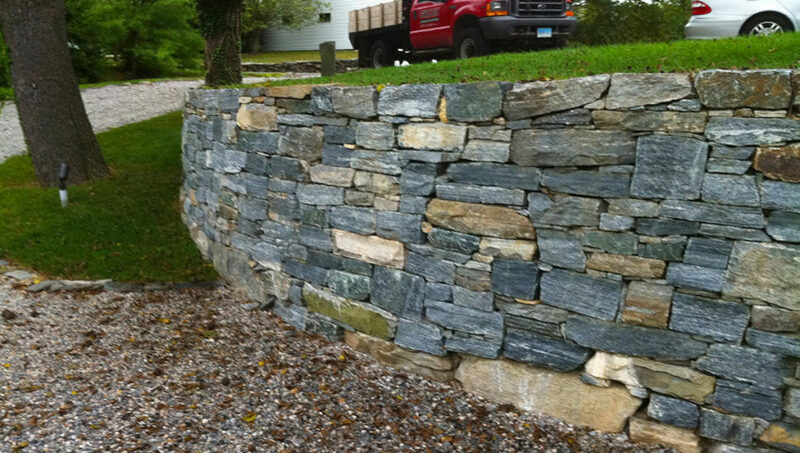 Nothing compliments a back yard better than a blue stone patio and natural stone wall. That is, unless you add a pool into the mix. 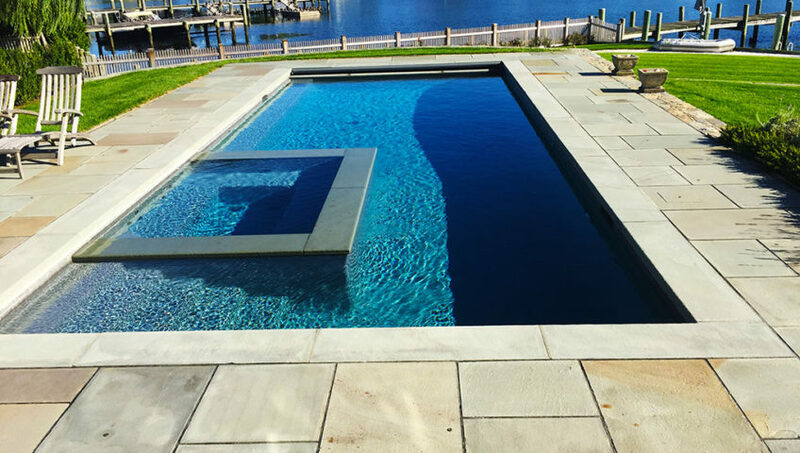 Now we can’t take credit for the pool, but we helped our client create a backyard oasis by planting the beautiful lavender gardens and installing the blue stone to compliment the blue water. 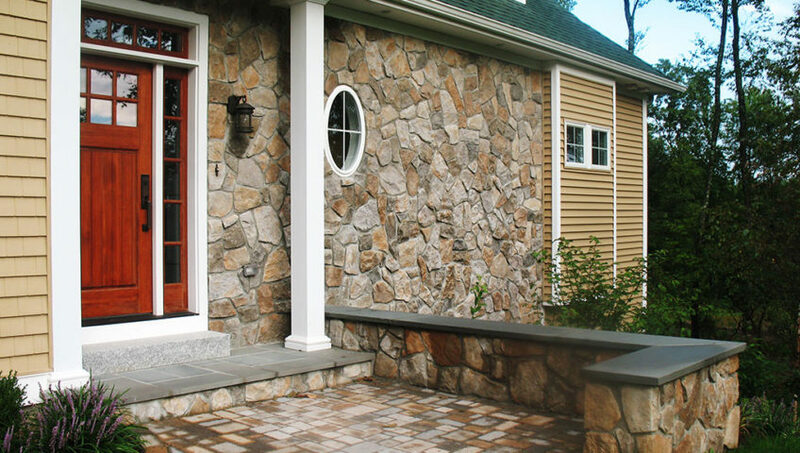 Adding a Bluestone patio is a great way to enhance your entry ways. 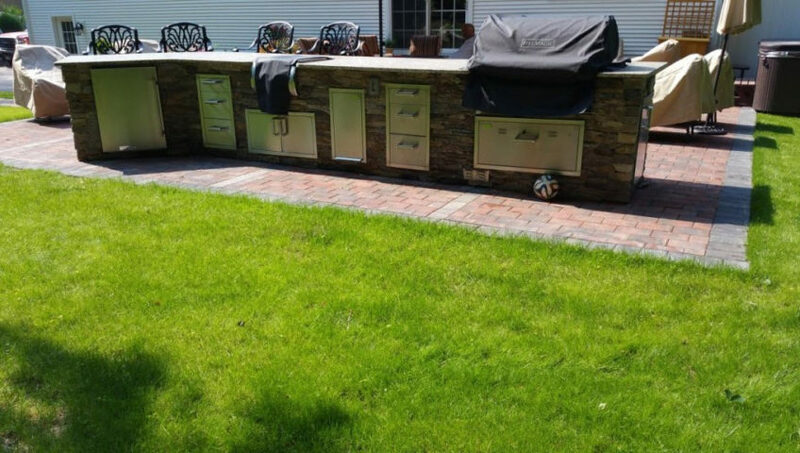 This was a new construction multi-design and installation landscaping project which included land clearing, lawn installation, retaining walls, plantings, patio and walkways. Here we are showing the front walkway and back patio design. 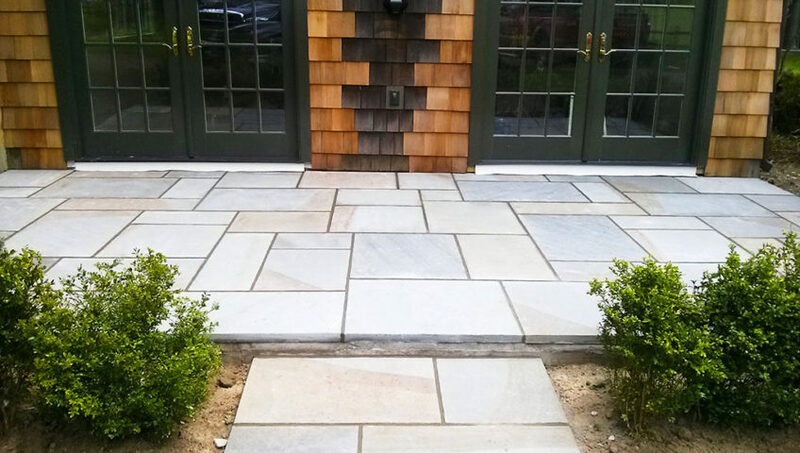 We accented this space with colorful pavers, Bluestone steps and natural stone accent walls. We dressed the surrounding space with colorful plantings, a floral garden, select trees and shrubs.